What can I say about Transatlantic Love Affair that I haven't already struggled to say? I'm out of superlatives. 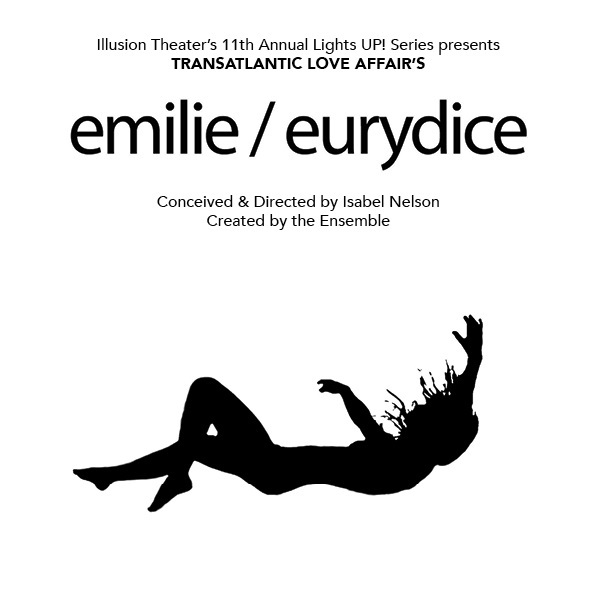 Emilie/Eurydice, a new work, investigates themes of enduring love and ambiguous loss in the modern world. When a young woman (Emilie) falls into a coma following a catastrophic accident, her loved ones must walk the line between impossible hope and inexorable grief; learning when to fight, and how to let go. I love theater for so many reasons, and I choose among the majillion offerings in the Twin Cities for equally varied reasons. Maybe it's a musical I've never seen (this week's tour of Beautiful) or a particular actor whose work I love (Frankie and Johnny at Casting Spells). And then there are the theater companies whose work I will see--no matter what. Transatlantic Love Affair is at the top of my list. They could title their shows like Woody Allen titles his works-in-progress, "Transatlantic Love Affair 2015 Show" and I would still line up to see it. 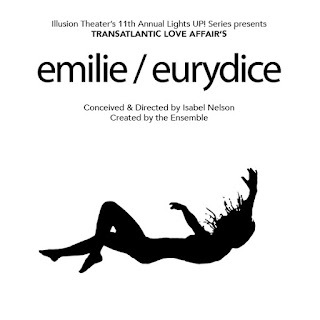 Transatlantic Love Affair describes themselves as "a physical theatre ensemble. As an artistic community, we value the role of collaboration in the creation of original work; we commit ourselves to the imaginative telling of relevant stories; we believe the human body to be the ultimate theatrical instrument." This means no sets, no props, minimal costuming and the actors tell the story through their physical selves, the lighting (exquisitely done as usual by Mike Wangen), and music (Emily Dantuma on cello). I hate to say too much about this particular show--with TLA, the joy of discovery is a great part of the art. I will say this: If you have ever spent time with a loved one in a hospital room, this play will be familiar, poignant and a little bit funny. Even the smallest details of life in a waiting room are given new humor and perspective in this play. A few performances by the marvelous TLA ensemble are worth singling out: Allison Witham, as Emilie's regular nurse, has the perfect friendly but professional demeanor that makes you wish for a nurse like her. It's so delightful to see Joy Dolo as well. She adds touches of humor to even the toughest scenes--her timing is fabulous. And of course, as Emilie, Heather Bunch both plays infinite stillness with seeming ease, and a range of emotions. She is utterly lovely and heart-rending in this role. I can't say more. You should go. This is exquisite theater that speaks straight to the heart.